New Delhi: Wi-Fi services have been provided at 715 railway stations till date, while the services are proposed to be provided on 5,734 railway stations. RailTel Corporation of India Limited (RCIL), a Public Sector Undertaking under Ministry of Railways has entered into an agreement with M/s. Mahataa Information India Private Limited (M/s. MIIPL), an Indian subsidiary of Google Inc. for providing free Wi-Fi at 438 A1 and A category stations, official sources said here. The complete cost has been shared by RCIL and MIIPL. RCIL has also entered into Memorandum of Understanding (MoU) with Universal Services Obligation Fund, Department of Telecommunications (DoT), Ministry of Communications for providing Wi-Fi services at 200 rural railway stations. 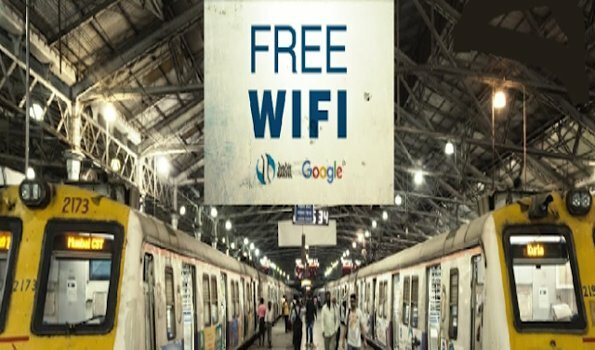 Free mobile Wi-Fi services at 715 railway stations were used by 1.3 million unique users till the month of October 2018. The cost of providing Wi-Fi at 438 stations where RCIL has entered into agreement with M/s. MIIPL is shared by RCIL & M/s. MIIPL and no fund has been provided by Government.